There have been many queries where people ask me, “Can I visit Tso Moriri from Manali side?” That is, while going to Leh from Manali they want to cover the Tso Moriri lake as well and then reach Leh. This trend of queries for visiting Tso Moriri from Manali side has especially become common after 2014 when the inner line permits were exempted for the Indians visiting major tourist places in Ladakh including this beautiful Tso Moriri lake. The urge to visit Tso Moriri while coming to Leh from Manali side definitely seems logical because it is a short detour and those who plan to exit from Srinagar side, it makes perfect sense to save a day for them. As of today (2018), Inner Line Permits are required again for everyone including Indians to visit Tso Moriri lake and other inner line areas of Ladakh. However, though what looks on the map in terms of distance does not qualify what looks on maps in terms of altitude. Hence, in today’s article, I will like to answer this in detail why not to visit Tso Moriri lake when coming to Leh from Manali side. Planning to visit Tso Moriri from Manali side? Below are the top five reasons I believe you should not visit Tso Moriri when you are traveling from Manali to Leh. Let us look at them one by one. You should not visit Tso Moriri from Manali to Leh because your body will never be acclimatized to sleep at such a high altitude. I never recommend people to even sleep at Sarchu while traveling from Manali to Leh. Keep in mind, Sarchu is about 300 Mtrs less in altitude than Tso Moriri lake and 300 Mtrs is quite a lot when it comes to altitude. And, if you are suffering from AMS even a difference of 100 Mtrs can save or take your life. Sarchu is even considered to be vomit Hilton as most people keep vomiting while sleeping up there or they mostly don’t tend to sleep. Very few people get away with without experiencing symptoms of AMS even at Sarchu. 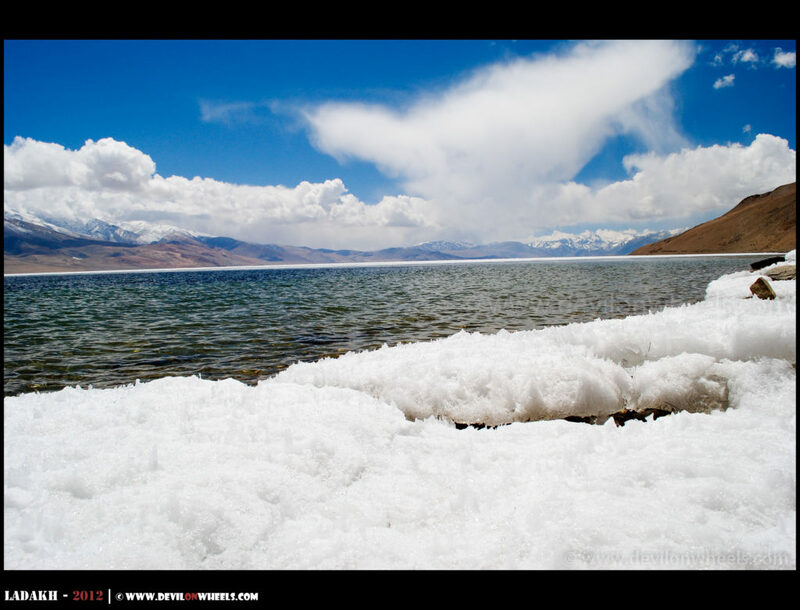 Now, Tso Moriri lake is even higher in altitude than Sarchu. So, there is no gradual ascend of altitude for your body to accept such a high altitude to sleep that early in the trip when you have only slept at Manali or even Jispa does not help. 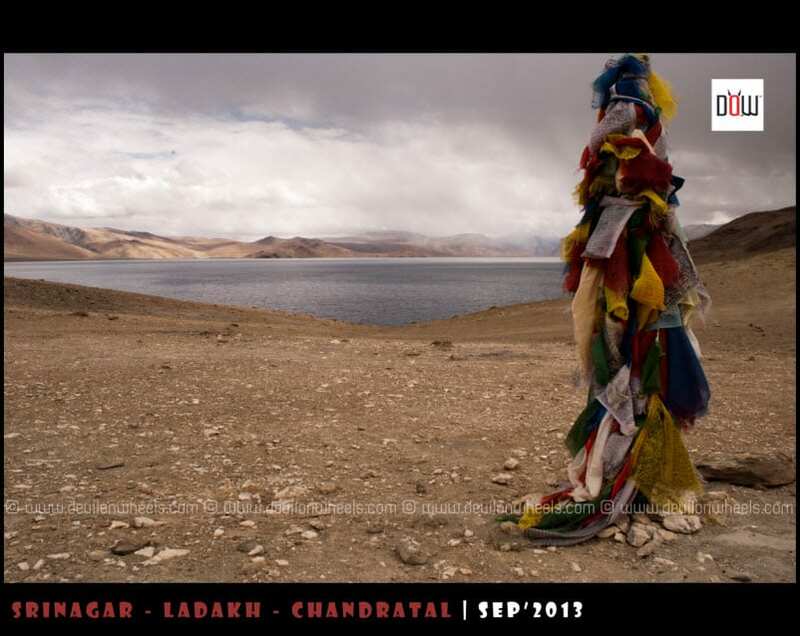 Tso Moriri is a located at desolated place in Ladakh and in case if there is any help that is required whatsoever after falling severely sick due to AMS (which you can), you are looking for about 8 Hrs drive to Leh. Any wise person can judge what it means to be away from medical help for about 8 Hrs in any medical emergency. Hitting with AMS badly, is indeed is an emergency as AMS can be fatal if not dealt with quickly. The main problem is when people are suffering from AMS, they tend to avoid admitting it and either say it is motion sickness or says it is fatigue. This aggravates the symptoms further and the condition worsens mostly. Keep in mind if you are traveling by bus including HPTDC deluxe bus to Leh, there is no option to travel to Tso Moriri directly in such a case as all buses run between Manali and Leh only. As per Leh bike rental union rules, you will have to have a rented bike based out in Leh in order to visit Tso Moriri lake unless you are not traveling by your own personal bike. When coming from Manali, you will be having Manali or Delhi rented bike which will not be allowed at Tso Moriri, if confronted at the various checkpoints installed by union guys. Hence, similar to taxis, you cannot visit Tso Moriri on outside Leh rented bike unless you want to end up in a tussle with an already unacclimatized body 😉 … In general, Tso Moriri is more or less neglected by the union guys because it is not so popular among the majority of tourists. 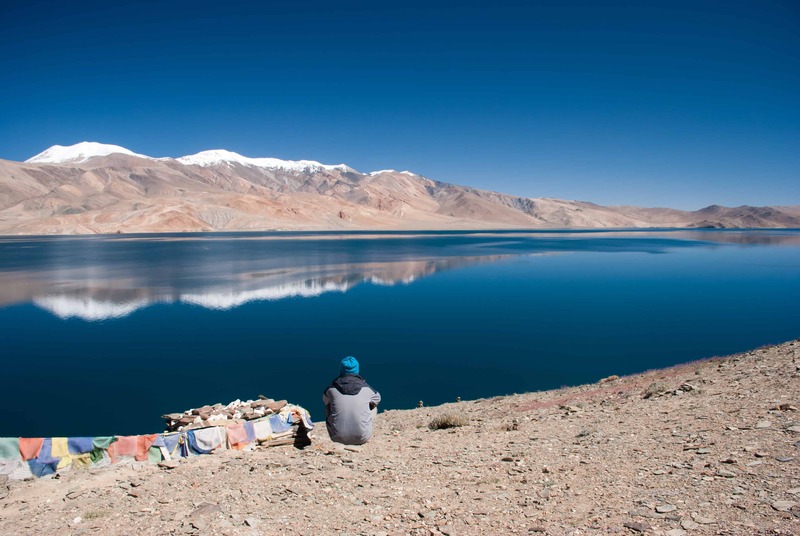 In case you need to visit Tso Moriri lake, Indians also need Ladakh Inner Line Permits to visit Inner Line areas of Ladakh including Nubra Valley, Pangong Tso, and Tso Moriri. Although inner line permits are available online, domestic tourists need to get the permit copy stamped from the DC office in Leh or Tourist Reception Center (TRC) in Leh. Also, the fee for Inner Line Permit needs to be paid in person. Hence, you will need to reach Leh to get the inner line permit stamped and pay the required fees. Otherwise, you need to get the permit arranged in advance and handed over to you before the checkpost, either at Tso Kar or Debring. In case you are a foreigner, you need the protected area permit to visit Tso Moriri. This permit is issued from DC office in Leh as well as online. In the case of PAP online, you can select the travel agent and pay the fee as well. So, this is a trivial issue for a foreigner visiting Tso Moriri lake. You can more read about Protected Area Permit. Well, I have tried to enlist the five reasons not to visit Tso Moriri from Manali side. However, the first reason combined with second reason should be enough for any wise person not to risk the life of himself and play with the emotions of family/friends sitting back at home wishing for his safe return. Why I say so is because I have been through many such incidents where youngsters set aside such important tips and think their young bodies can overpower the biology, the body’s acclimatization needs. However, many such incidents bring agony, chaos or panic to them as well as family and friends who can’t do anything sitting three days or 1500 KM away from them back at home. We 4 members planned our itinerary to Leh from Manali. Total no. of days 7, we will reach manali on 7th August 2018. 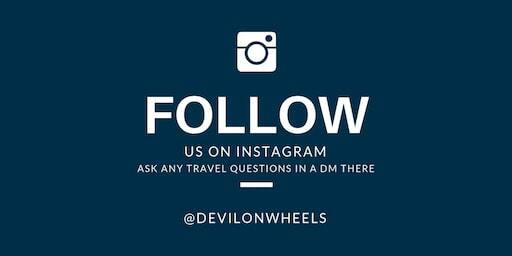 Please suggest a road plan and places to visit in between and back to Manali. It will take 4 days to reach Leh from Srinagar side starting from Delhi with stop overs at Jammu, Srinagar, Kargil and 3 days to come back from Leh from Manali side to Delhi with stopovers at Sarchu, Manali. This makes it 7 days. 1 Day is required in Leh for acclimatization. You have about 10 days. 1 Day can be used as Day trip to Pangong Tso and other day can be used as day trip to Nubra Valley or just Khardung La pass. 3 Day – Tso-Moriri to Leh City. If HP numbers are not allowed, then what will be the best options for this route and what will be thae cost in Innova. Hrishikesh, please read the article as it states not to do it. The environment fees of Rs 400 & Inner Line Permits (most likely as well) will again be required in Ladakh for Indian Tourists / Nationals with effect from April 1st, 2017. This has been recently announced and is available on official website of Leh administration. It is expected that a public circular should follow soon as well. Hence, like it used to happen before 2014, all Indian Nationals or Indian Tourists WILL need to pay environment fees and may need to also get the inner line permits in Leh – Ladakh region in order to visit the restricted places like Dah, Hanu Villages, Pangong Tso, Man, Merak, Tso Moriri, Nyoma, Loma Bend, Khardung La, Nubra Valley, Turtuk, Tyakshi, Digger La, Tangyar (for trekking only). For the leh – ladakh taxi union rate list 2017 – 18 including the contacts of some reliable taxi drivers within Leh – Ladakh, check the link here. You can get about 12-15% of discount by directly getting in touch with drivers and of course, talking in person rather on phone always help in bargaining more. You can call the local drivers directly to connect with them and check the more comprehensive List of Taxi Drivers for Ladakh – Srinagar – Leh – Manali with recommendations/reviews for DoW community members. Hi, We are planning to visit leh on 23rd may 2017 and will hire bike from srinagar to leh. Is it possible for us to do local sightseeing in leh on those bike and if not what options do we have? 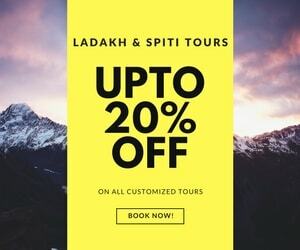 Hiring another bike in leh for local sightseeing means we have to hire twice one from sri to leh and other for leh sightseeing thereby incurring double cost. Please give your suggestion. Thank You. You will have to hire the bike twice in such a case. It is best to travel by public transport to Leh and then hire a bike over there unless you are OK with paying twice and do not have any budget constraints. Thanks Dheeraj! I will take your reccomendation into account and not go in that direction. My compliments for your extensive and very informative website, it has helped me a lot in my preperations! on the left side there is a vertical table of facebook, twitter printer etc, which hide the some of the writing and we have to often do ups and down, can it be shifted to right or bottom for so that we can read your brilliant articles without much scrolling. Hi Manish, Sorry about that. Can you please tell me which browser and which phone are you using to open the web pages. We corrected that issue an year back to disable the share article bar on mobiles. I’m planning to drive down to tso moirir from Leh on a bike rented from Leh itself but a couple of my friends who went there were saying there have been a few incidents where cars and bikes have been burned by the locals. Just wanted to check if you know if there’s been any change in the situation of travelling to Tso Moriri on bikes rented from leh?? Ishaan, they are all rumours. There is no issue of taking a personal bike or Leh rented bike anywhere in Ladakh. The issue arise when you take outside Leh rented bike to sightseeing places in Ladakh. Please do suggest an itinerary of leh tour.We had planned for leh ladakh via Srinagar, we will reach Srinagar on 31st August ’16 and back on 11th september from delhi to kolkata. So I would request you to help us for making the itinerary , we would like to visit maximum places including Tsomoriri ,Pangong ,Nubra,etc. Replied to the other comment. Please do suggest an itinerary of leh tour.We are 4 friends planned for ladakh tour, we will reach Srinagar on 31st August ’16 and back on 11th september from delhi to kolkata. So I would request you to help us for making the itinerary , we would like to visit maximum places including Tsomoriri ,Pangong ,Nubra,etc. — If you have time then check out, floating market, Shalimar Garden. Dear Dheeraj, A bit short notice but we, two friends fromHolland, will fly to Delhi and travel to Manali 3-5 september where we will rent bikes to ride up to Leh. From what I read on your wonderful site, it might be nice to continue after Leh to Kargil and Srinagar to head back to Manali. Do you have a suggestion of what would be a good route from Srinagar to Manali and in how many days? Hello Luke, there is an unrest in the Kashmir valley with curfews just lifted but conditions at some places are still not so good. It is not recommended at all to travel beyond Kargil. So, you can travel to Kargil from Leh, at max Drass and come back the same route to Leh. Then, you need to follow the same route back to Manali from Leh.